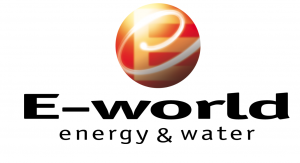 On 5 – 7 February 2019, KYOS will again be present at E-World, Essen (DE). Thanks to the strong demand for KYOS solutions, we have been able to expand our software with a range of new models and features. The energy market is very volatile, and managing costs is especially relevant. We have solutions for power and gas markets to effectively manage price and volume risks. Next to this we also have a Portfolio Management system for industrial companies that are facing commodity risks. Have you already seen our systems? We would be pleased to demonstrate the new developments to you and hear about your needs. The KYOS team is available all three days to discuss how we can assist you with optimizing contracts and assets for energy and commodity markets. With a live demo you will get a good idea of what our models can do. And see how easy they are to work with. Are you interested in an appointment and learn what KYOS could do for you? You can find us in Hall 3, stand number 163. We are looking forward to meeting you there! Plan a meeting via the form below (in the black section) or the orange button on the right.